Looking for an easy side dish with your main or a quick Sunday snack? These Sweet Potato Fries are perfect for both. All you need is 4 simple ingredients to make this delicious recipe and you’re all set! 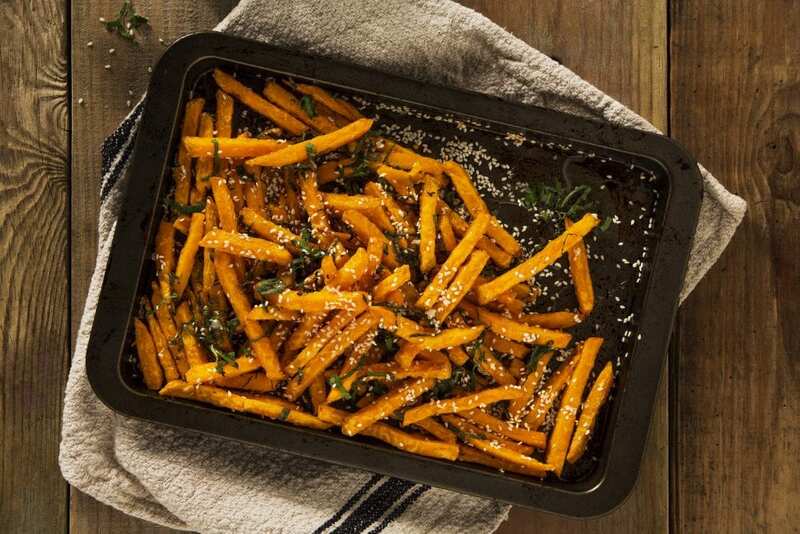 Arrange the Oven Baked Sweet Potato Fries in a single layer on a baking tray. Remove from the oven and drizzle the honey and sesame seeds on the fries and pop back in the oven for another five minutes. This will allow the honey to caramelise. Sprinkle with mint and serve!